I was fortunate to be introduced to diving through my parents when I was 14. My parents were both PADI divers, so it seemed like the best way to learn how to dive. 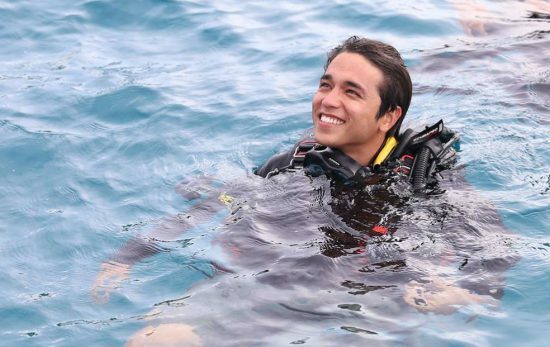 Since that first day of diving, I was in love with the experience of being underwater. By college, I could enroll in continuing education classes, so I chose PADI. The progressive learning program built upon previous skills. Each class taught me new ways to improve and expand my diving ability. After experiencing various buddies, I wanted to learn how to interact better with other divers, so I enrolled in my Divemaster course. 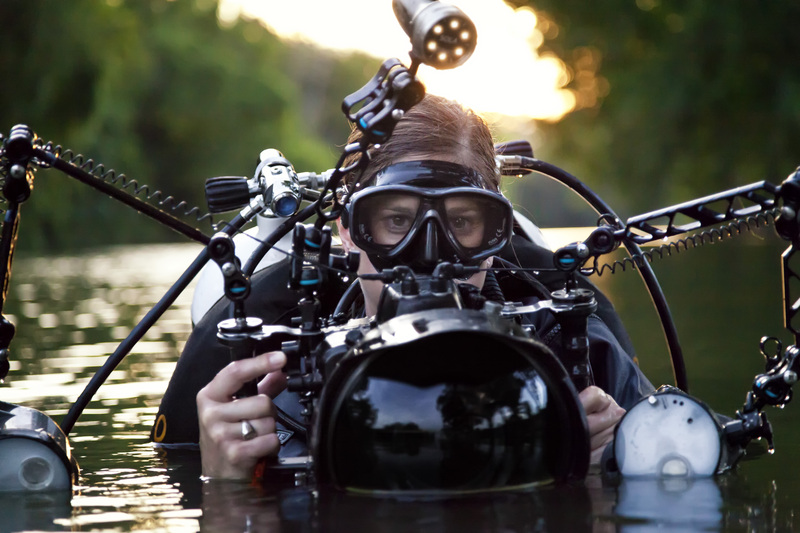 For five years, I worked as a divemaster in Austin, Texas before deciding to take my Instructor Development Course. At this time, I was also introduced to new technical dive courses through PADI. They would help me reach new depths and stay longer on more complex dives. It is PADI’s encouraging instructors and high quality educational materials that has helped me grow beyond my expectations. How has PADI changed your life? 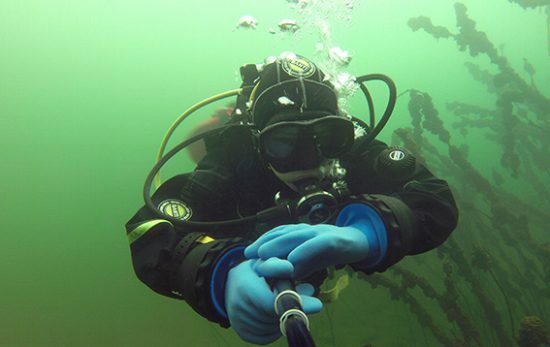 The direction of my career developed through PADI. Professionally, I was a graphic designer and photographer while I developed SCUBA skills through continuing education. Taking ongoing classes helped me be a part of a community of like-minded divers who put safety first and had fun all the while. When I took the path to become a PADI professional, I was surrounded by encouraging mentors and able to dive frequently through my network of dive buddies. I also took a dive trip that would change my life and ultimately made the full-time professional leap possible. On a return flight from a dive trip in pristine Tobago, I flew across the Deepwater Horizon oil spill in the Gulf of Mexico in 2010. As I looked down, my window was filled with an image of the ocean burning and surrounded by tiny oil tankers trying to contain the spill. This particular trip was my first professional underwater photography expedition. I was so moved that I did not take the photo. Instead, I burned the image into my mind and determined that I could combine my unique photography and design skills with my underwater experience to share the importance of our local waters with others. This is how I set out to become the first woman to dive 50 states and share the story so that all may also come to love our underwater treasures. I could have never foreseen that I would eventually take the giant leap to make diving a full-time career. As a PADI instructor and underwater photographer/videographer, I want to help others love diving, become good divers, and love the underwater world so that we may all enjoy it for generations to come. 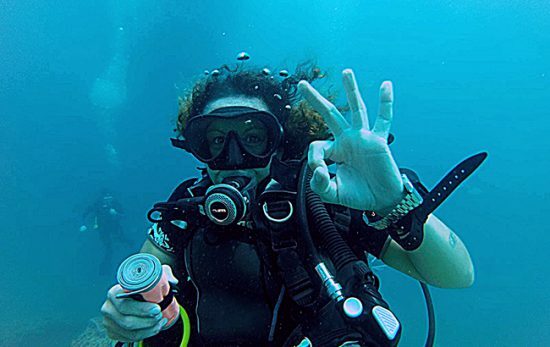 I became a PADI diver because I believed the education was safe and thorough. The educational materials were the most professional I had seen in the industry and the people I encountered were friendly and professional. I did not set out to earn more than 20 certifications, but the educational experience has been paramount to my diving ability and accessibility. The community PADI fosters is important to my continued support for this training organization. Recently, I participated in PADI Women’s Dive Day by celebrating the 47th state of my quest to become the first woman to dive 50 states. I completed that journey on August 21 in Michigan and will share the experience through my underwater photography and book. Already, I have marked next year’s PADI Women’s Dive Day event in my calendar and hope to participate in an equally exciting way. My PADI is how I became an underwater photographer. Visit http://mypadi.padi.com to hear more inspirational My PADI stories. 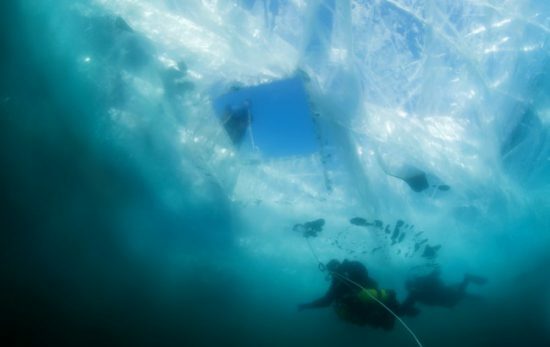 What Does it Take to be an Ice Diver?